For a decade, no one could escape the Noid. The Domino's Pizza mascot from 1986 to 1995 was a bizarre claymation, appearing in everything from commercials to video games to a cameo in Michael Jackson’s weird anthology film Moonwalker. The Noid was so omnipresent it was, well, annoying (which makes sense—Noid is short for annoyed). But for Kenneth Lamar Noid, the Dominoes Noid wasn’t simply grating - he believed the character was specifically created to mock him. In 1960, brothers Tom and James Monaghan purchased a failing pizza shop, DomiNick’s, on the outskirts of Eastern Michigan University’s campus in Ypsilanti for nine hundred dollars. A year later, with the shop still struggling, James got out of the pizza business (to be a mailman) and sold his share of the shop to his brother Tom for a used Volkswagen Beetle. That would turn out to be a big mistake. Within only a few years, DomiNick's became the busiest pizza shop in the country (at least, by Tom Monaghan’s own estimation) by “keeping things simple.” In 1965, an employee suggested changing the company's name to “Domino's.” Despite a copyright lawsuit from Domino Sugar in 1980, the company endured and opened its 1000th shop in 1983. Despite the success, the chain wanted to make a bigger impact in the rather crowded pizza market. So, in 1984, they instituted the new policy of making sure the pizza got delivered to the customer in thirty minutes or less. Coupled with this, Domino’s devised a new marketing campaign to get the word out. The red, clay, bunny-eared, buck-toothed weirdo “Noid” was born. Claymation legend Will Vinton (the same guy behind the California Raisins), created the “Noid,” who was supposed to be the “physical manifestation of all the challenges inherent in getting a pizza delivered in 30 minutes or less.” The first commercials debuted in 1986 and depicted the Noid attempting to prevent your pizza from showing up on time through a series of poorly conceived gags. The commercials were an immediate success and vaulted Domino's into a pizza war with Pizza Hut. The Noid became a household name, but on January 30th, 1989, the company endured the worst mascot public relations disaster in history. It was a typical Monday lunch hour when 22 year old Kenneth Lamar Noid walked into the Domino’s Pizza in Chamblee, Georgia clutching a .357 magnum revolver. He took two employees hostage for more than five hours, who were able to escape when Noid ordered and ate a pizza. Luckily, no one was hurt during the ordeal. Noid was apprehended and charged with kidnapping, aggravated assault and theft by extortion. While most of his initial demands were pretty standard - ten thousand dollars and a getaway car, he also wanted a copy of the book The Widow’s Son (a novel about Freemasons). It soon became clear Noid was motivated by more than just tangible things. According to police officers on the scene, Noid had become convinced that the pizza chain’s marketing campaign had been aimed directly at him. Said one of the officers, Noid was “having an ongoing feud in his mind with Monaghan about the 'Noid' commercials” and thought the ads were specifically made to mock him. He adamantly thought that the owner of Domino’s Pizza was telling people to stay clear of him. Needless to say, newspapers had a field day with headlines, with many coming off as rather insensitive to the situation. While Noid was charged, he was ultimately found not guilty of the crimes by reason of insanity and was sent to Georgia’s Mental Health Institute. Despite this PR disaster, Domino’s kept the Noid around and continued to employ him in more absurd commercials. Unfortunately, the Noid story took a turn for the tragic. In 1995, still convinced that Domino’s Pizza was out to make his life miserable, Kenneth Lamar Noid committed suicide in his Florida apartment. The pizza chain immediately stopped using the Noid in their marketing thereafter. Today, the Noid is little more than a nostalgic memory. In 2011, he made a brief return in a Facebook game before once again vanishing. 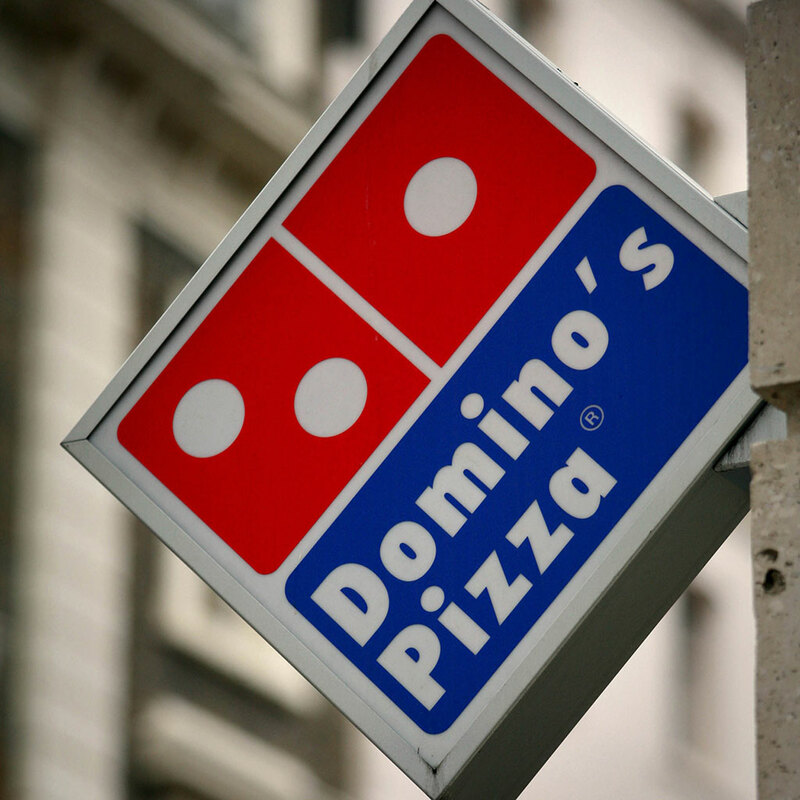 Thanks in part to the Noid, Domino's Pizza is still one of the top pizza chains in the world with nearly nine billion in annual sales. For Kenneth Lamar Noid, though, the Noid’s story had a tragic ending.